He met with the Philadelphia Phillies Wednesday and the New York Yankees Thursday, listening to pitches from the teams that might have the most money to spend this offseason. 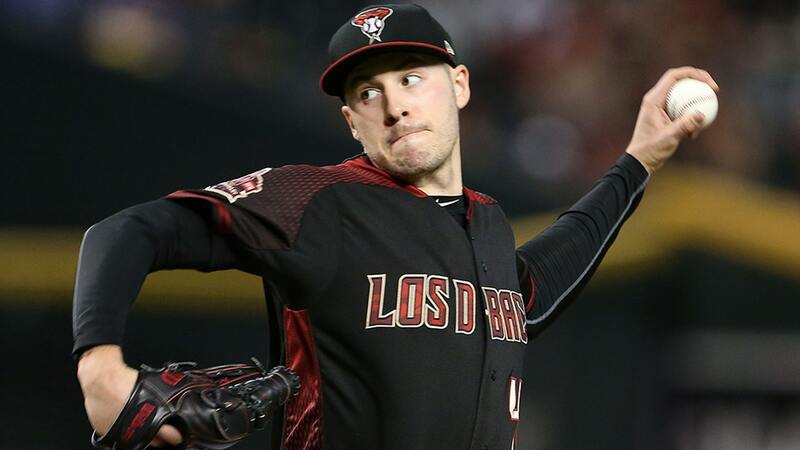 From the looks of things, Diamondback free agent pitcher Patrick Corbin has Arizona in his rear view mirror. This should give the Yankees an advantage in the chase for one of the winter's top free agents. On Monday, Jon Morosi of MLB.com reported that the Phillies are ready to sign multiple free agents before Bryce Harper and/or Manny Machado make a decision. Asked on the way back from a lunch run if he was at liberty to discuss Corbin, Boone politely said he wasn't. Now, they're reportedly talking with Corbin about a possible role with the team during the 2019 season. Corbin, 29, finished fifth in National League Cy Young Award voting this season after going 11-7 with a 3.15 ERA, a 1.05 WHIP and 246 strikeouts over 200 innings (11.1 K/9). A native of New York, Corbin grew up rooting for the pinstripes. With the Philadelphia Phillies and New York Yankees looking to make a bigger splash than anyone in free agency, it wouldn't at all be a surprise to see all three players end up in Philadelphia and the Bronx. He also could accept five years at a higher average annual value from a preferred club. And that's just hard to find on the free-agent market, making him incredibly valuable to a playoff team. In six years with the Diamondbacks, the two-time All-Star is 56-54 with a 3.91 ERA. Corbin's 2018 production ranks him at the top of the Yankees current rotation of CC Sabathia, Luis Severino, Masahiro Tanaka and Paxton.